This semester, MYC is overjoyed to welcome guest artist Tony Memmel, a singer-songwriter and guitarist whose story of ingenuity and resilience will inspire young singers and audience members alike. Born without a left forearm or hand, Tony taught himself to play guitar by building a homemade cast out of Gorilla Tape, and has become an internationally acclaimed musician, thoughtful teacher, and ambassador for young people with limb differences. On December 8 and 9 at the Middleton Performing Arts Center, Tony will join our choirs as we present a concert series focused on our ability to overcome challenges both visible and invisible, and along the way discover the limitless possibilities that exist inside each of us. This concert is generously endowed by the Diane Ballweg Performance Fund with additional support from our sponsors, American Girl's Fund for Children, BMO Harris Bank, Dane Arts with additional funds from the Endres Mfg. Company Foundation, The Evjue Foundation, Inc., charitable arm of The Capital Times, the W. Jerome Frautschi Foundation, and the Pleasant T. Rowland Foundation. This project is also supported by the Madison Arts Commission and the Wisconsin Arts Board with funds from the National Endowment for the Arts. Concert details and ticket information are included in our Upcoming Performances section below. Earlier this fall, we were thrilled to announce that after years of dreaming about deeper collaboration between youth arts organizations in Madison, MYC and Children's Theater of Madison are partnering in the development of the Madison Youth Arts Center, set to open in 2020! Featuring shared office spaces, rehearsal halls, comfortable common areas, and a 300-seat theater, this vibrant new home will provide affordable rehearsal and performance space for local music, visual art, dance, and drama programs in the heart of Dane County. From the stunning new artistic works that will take shape in the studios to the opportunities for families of all backgrounds to find kindred spirits as their children cross paths in rehearsal, we are absolutely ecstatic about the possibilities surrounding this project. We'll share more details in the months to come about how you can help support this project, creating a future in which all of our children can express themselves in a place that affirms their value, honors their voices, and reflects their dreams. New Opportunities to Join MYC! 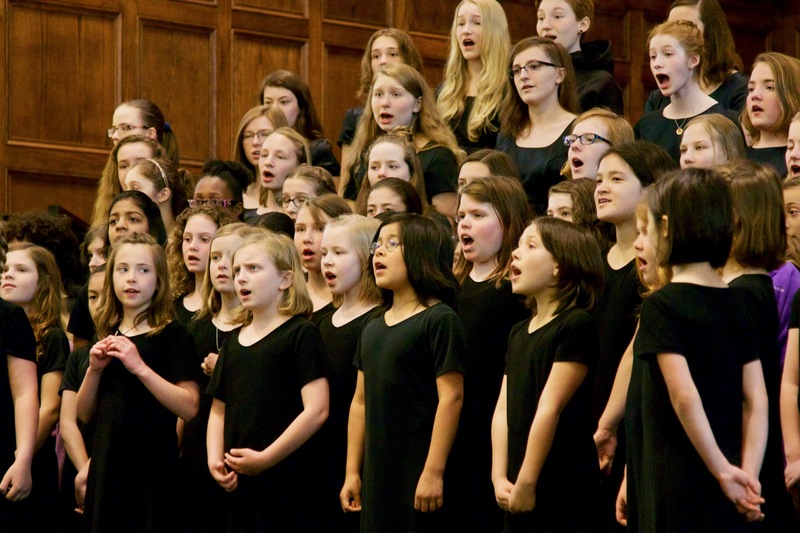 Children age 7-10 are invited to enroll in one of three introductory choir sessions that will begin in February, offered at Westgate Studios on Sunday afternoons and Tuesday evenings, and at Lake Edge Lutheran Church in Monona on Saturday mornings. Tuition is $190 and financial assistance is available. Students in grades 5 through 12 are encouraged to audition for our performing choirs on Wednesday, January 9, 2019. Auditions at MYC are very relaxed, with no preparation needed and no cost to try out. Join us in exploring diverse musical repertoire while meeting kind, thoughtful, and creative fellow singers. Visit the "Join a Choir" page of our website for more information or to register for either opportunity. Following a triumphant concert in front of a full house in November, MYC's Intergenerational Choir is gearing up for a new session in early 2019. This fall, we were so excited to welcome MYC alumni Andrew Carran, Liam Forrest, Marcus Graham, Christy Jenkins, Stephanie JeSchonek, Carrie Rank, and Ella Tschopik as well as MYC alumni parent Kathy Graham to join current Cantabile and Ragazzi singers and our fellow choirmates from Capitol Lakes. Our singers spanned in age from 15 to 97 years old and covered repertoire that included works in Latin and French from the 14th century, American folk tunes, spirituals, and our traditional concert closer, "Forever Young" by Bob Dylan. If you are a Madison Boychoir, Madison Children's Choir, or MYC alum interested in being a part of this innovative ensemble, plan to join us in February 2019! 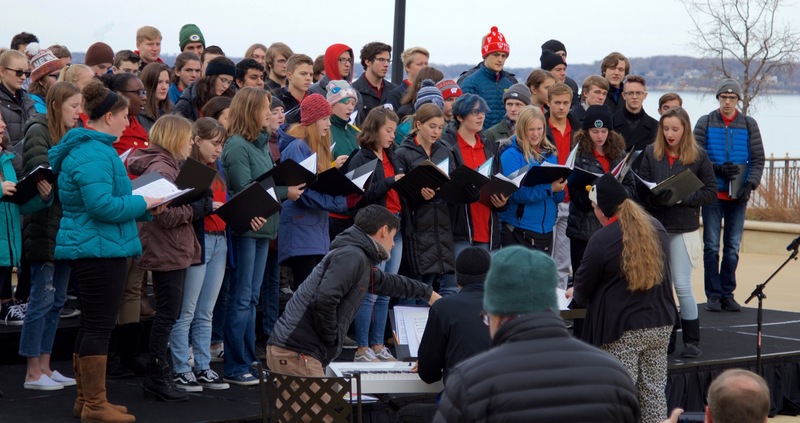 Combined rehearsals will be held at Capitol Lakes (333 W. Main St., Madison) on February 20, 27, and March 5 from 6pm-7pm in advance of the concert on Friday, March 8, 7pm in Capitol Lakes Grand Hall. If you are interested in joining us, please contact Lisa Kjentvet. Tuesday, November 27, 2018, is Giving Tuesday, a global celebration of philanthropy. This year, Facebook and Paypal have pledged up to $7 million in matching gifts to US nonprofit organizations, and will double every donation made to an official charity's fundraiser on Facebook, beginning at 7am CST on Tuesday. In the past two years, MYC has received $1,000 in Giving Tuesday matching gifts through this fundraising event, and we'll be participating in this worldwide movement again this year. In honor of the 1000 young artists we annually serve at MYC, we're launching a $1,000 mini-fundraiser on our MYC Facebook page. Don't be afraid to keep giving after we meet the goal - ALL donated funds will continue to be gladly accepted and will fuel our outstanding music education programs throughout the year. Thank you!! MYC Winter Concert Series, "Resilience"
MYC Spring Concert Series, "Legacy"